It would be no exaggeration to state that Wikipedia is at the brink of becoming the de facto global reference of dynamic knowledge. The highly visible clashes amongst opinion leaders, university professors, Web 2.0 ‘evangelists’ and publishers over accuracy, anonymity, trust, vandalism and expertise only seem to fuel further growth of Wikipedia and its user base. In this respect, what does it mean to now say that Wikipedia has become “mainstream”? This one and many more questions were asked on the Critical Point of View conference, held March 2010 in Amsterdam. 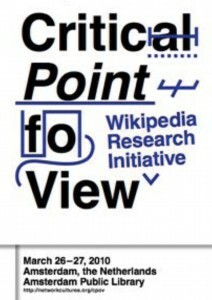 The Critical Point of View conference report functions both as a summary and as archive of the project. 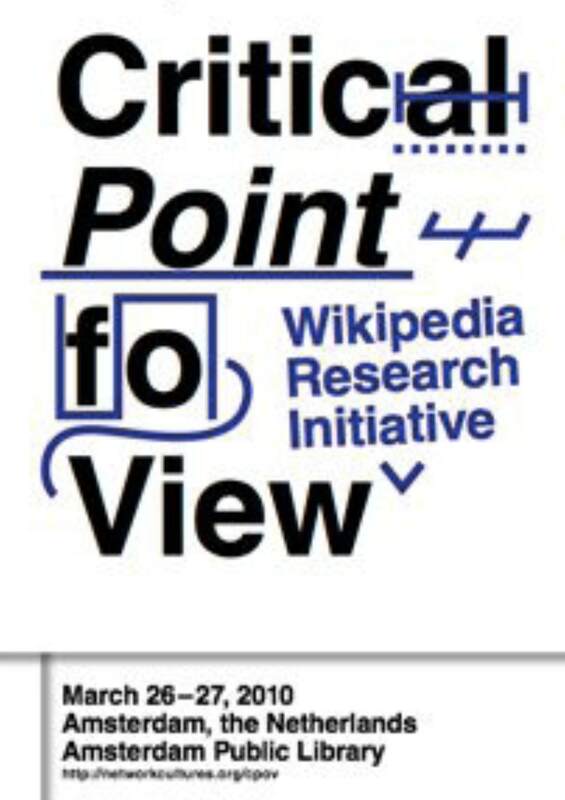 It consists of the key results, the conference program, all conference blogposts and many other (research) blogposts concerning the topic of Wikipedia research and critique.